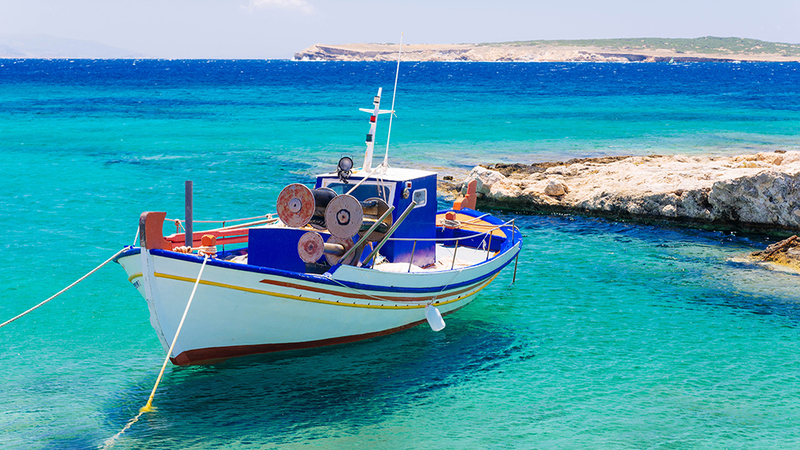 Beaches, like travellers, come in all styles. There are the sleek and sophisticated ones, the powdery-soft stretches that make all the “most beautiful” lists and star in countless Instagram posts. There are the party ones, home to lively day clubs and DJ-fueled parties, and the boho-chic ones that chill out with bonfires and sing-a-longs. Exotic ones in far-flung locations are vibrant with colour and culture, while rocky ones may seem prickly at first, but end up revealing their own treasures. But our favourite beaches are the ones you have to work for—the little-known stretches of sand around the world that require a real effort to find. Here, we spotlight 13 such spots—beaches that are local secrets, hidden away, and totally private. They aren’t just exclusive or reserved for a lucky few, but real discoveries, like the beach in Australia that requires a two-day return hike, or another one in Bermuda that only exists for a few hours of the day at low tide. From Mykonos to Mozambique, these 13 beaches are so special, you might not want to share (and good thing, you won’t have to). While the “secret” of the Grenadines appears to have already gotten out, there are still some less-discovered—and off-the-beaten-path—places hidden along this Eastern Caribbean gem. Tiny Mopion Island, or as locals call it, “Sandy Island,” is the perfect spot for a true castaway experience, as there’s nothing there but a thatch-roofed palapa and two cushy loungers. 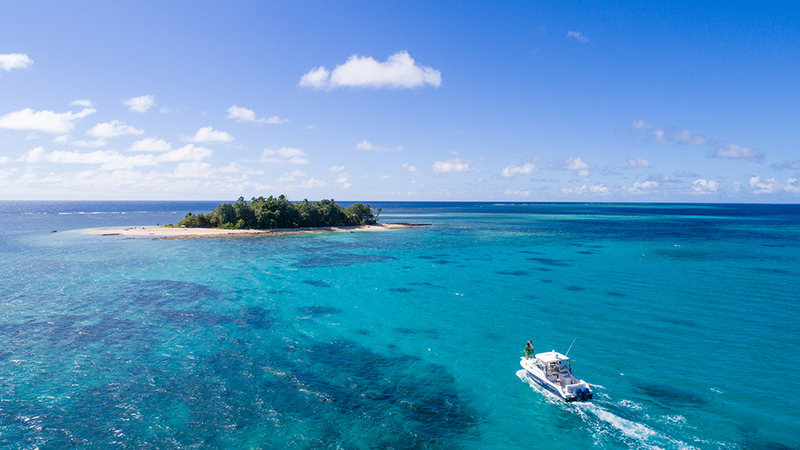 The islet is ringed by coral (making it a great launch pad for snorkelling and diving), so you can only access it via a narrow channel—meaning you’ll have to ride in on a dingy from your private boat. 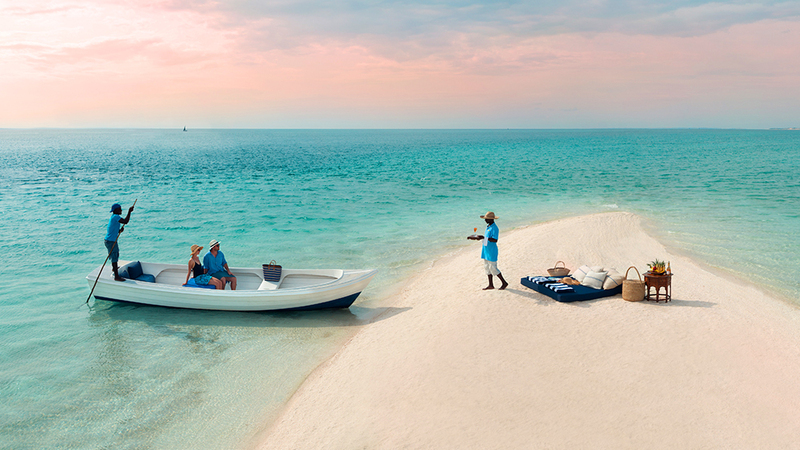 Gorgeous white-sand beaches abound in Mozambique’s Bazaruto Archipelago, and many of them are only accessible via some private and exclusive way. Some of our favourite beaches in the region, though, are right on Benguerra—mainly because you’re pretty much guaranteed to never see another person while you’re there. 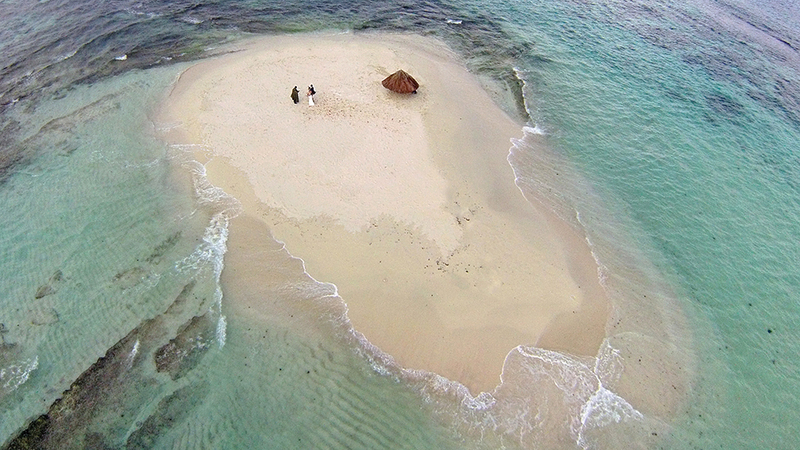 Reachable via helicopter from mainland Mozambique, and set just south of the larger island of Bazaruto, Benguerra is only home to a few resorts—so when one hotel is planning on setting up a “castaway” picnic for their guests, it coordinates with the others to make sure no one else will be there. Among the scenic choices for your exclusive beach day are North Point—a sandy strip bordered by the ocean on one side and a calmer bay on the other—and South Point, a wide, dune-topped beach dotted with giant pieces of bleached driftwood that look like they were strategically placed there for a fashion shoot. Spend the day searching for shells and ghost crabs, spotting flamingos, and cooling off in the Indian Ocean. Though there’s only one hotel on Desroches Island, it isn’t technically private—which is part of what makes staying there such a special experience. Located a 35-minute flight from the capital of Mahé in Seychelles’ less-visited Outer Amirantes group, the 933-acre island is home to two villages—one Indian, one Creole—with a total population of about 100. In-between, there’s also the Island Conservation Society, which focuses on land restoration, wildlife protection, and operating a sanctuary and breeding centre for the indigenous Aldabra giant tortoise. And ringing all this is a series of tucked-away beaches and sandy spots of varying sizes. 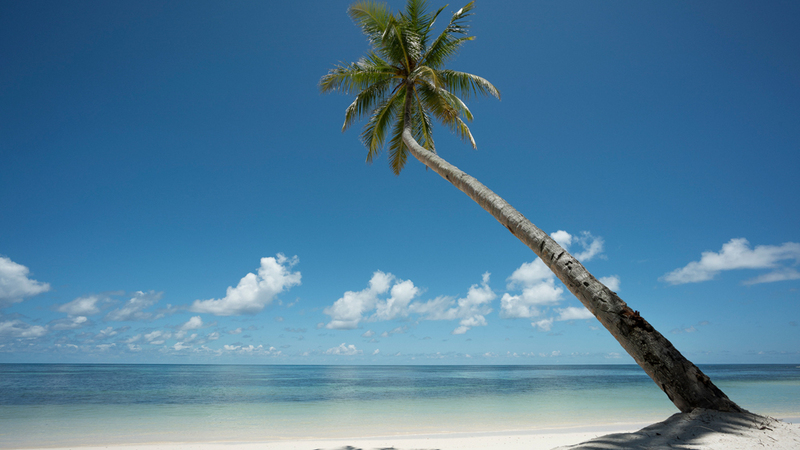 One particular favourite is Madame Zabre Beach, a powder-soft cove shaded by palm trees. To reach it, you’ll need to bike across the island’s airstrip, through unmarked forested pathways, until you reach a small copse framing the postcard-perfect shores. Keep a lookout for giant turtles along the way. Where to Stay: Nanuku, Auberge Resorts Collection can sail you to one of these “disappearing” spots and set up an unforgettable picnic. Or, if you’d like a bit more time on a private beach, rent out the resort’s two-acre private island in the Beqa Lagoon system of coral reefs. The refuge can be booked for day trips or a magical overnight experience and is only available for exclusive use. On Mosquera, “do not bathe while a male is nearby” is a warning that refers to the more aggressive members of the island’s only residents: sea lions. 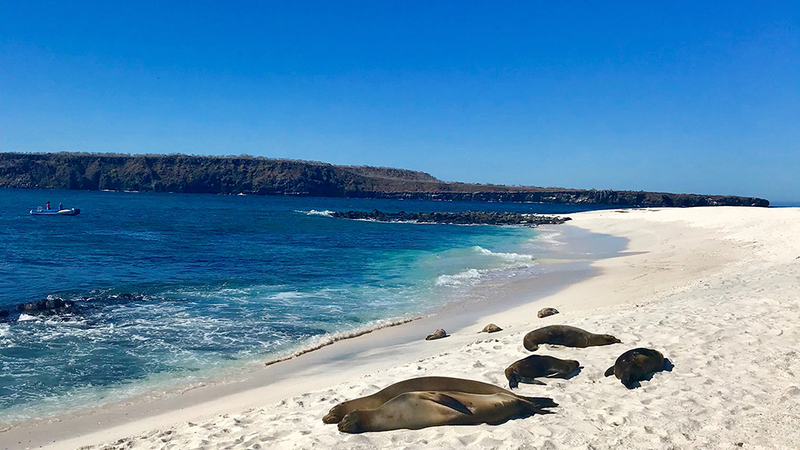 Located between the islands of Baltra and North Seymour, the narrow islet rises up from the sea ringed by a reef of lava rocks and coral and is fronted by a white-sand beach that’s popular both with human visitors and one of the region’s largest sea lion colonies. Only accessible via a wet beach landing, Mosquera is also a top-notch snorkelling and diving site, offering easy access to a world of tropical fish, brown pelicans, blue-footed boobies, and more. Along with the limited physical accessibility, the island is restricted to those on naturalist-guided walks and other specially-authorized permit holders, so you’ll never find crowds lined up on the beach—save for the sunning sea lions, of course. 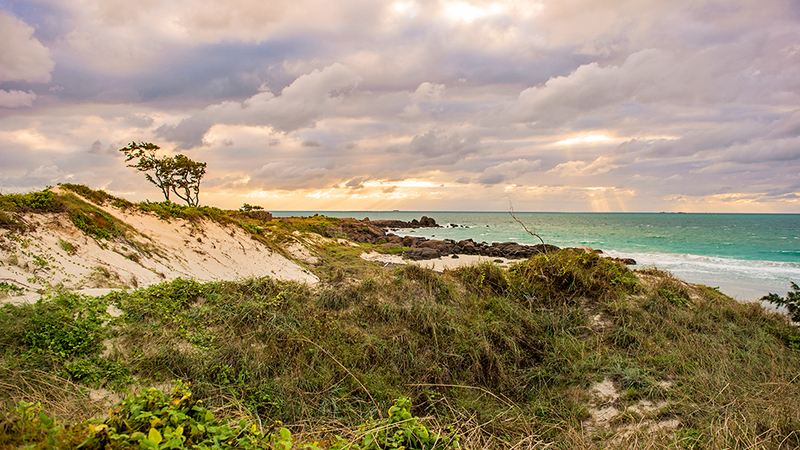 Arnhem Land may just be one of Australia’s last great frontiers. Bordered by the Arafura Sea, the Gulf of Carpentaria, and Kakadu National Park, the vast, 97,000-square-kilometre natural wonderland is dotted with gorges and rivers, waterfalls and rocky outcrops, as well as a wealth of ancient indigenous cultural sites. 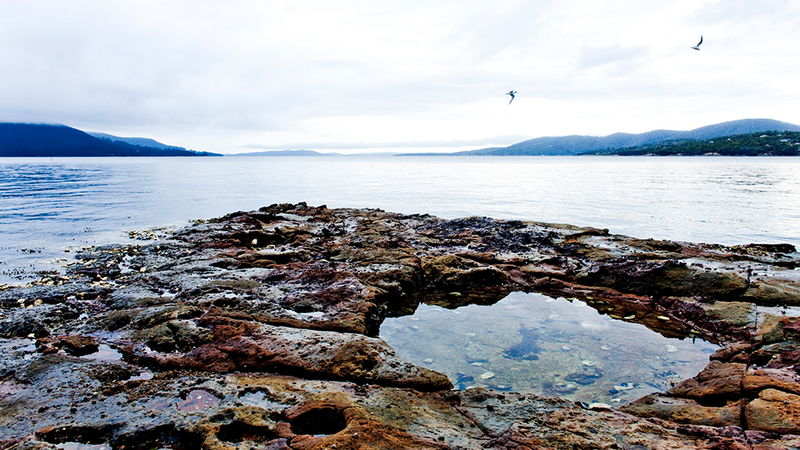 The territory also remains under Aboriginal ownership and protection, which means that visitors are required to obtain a permit (via a hotel or tour operator) to enter. Where to Stay: The only tourist spot on Bremer is the Banu Banu Beach Resort, a six-tent eco-resort built in concert with the Yolgnu people—so not only are the beaches exclusive, but they also offer plenty of opportunities to interact with locals, who are happy to show you how to spearfish or weave baskets the traditional way. 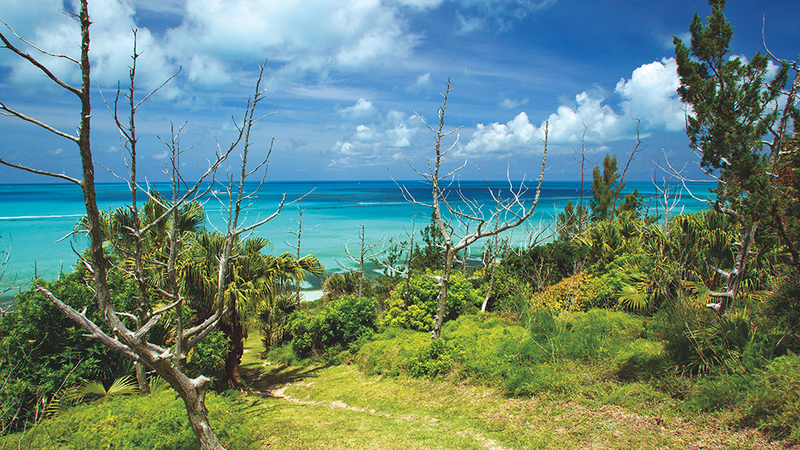 Beautiful beaches abound in Bermuda, but Hog Bay stands out as much for its elusive nature as its aesthetic qualities. First, you’ve got to navigate getting there, hiking over steep, rocky, and hilly terrain along a woodland trail in the 32-acre Hog Bay Park nature reserve. Then, once you arrive, the beach may not even be around, as it only exists during low tide. Assuming all the stars align, you’ll find a gorgeous expanse of blush-hued sand leading to clear-and-cool water, and dotted with a few craggy boulders. In addition to providing a secluded spot for sun worshipping, picnics, and a mid-day snooze, the beach is great for snorkelling—so even if you miss low tide and arrive to find just the sea, you can jump right in to explore the underwater world. Where to Stay:The 240 acres of the recently redone Rosewood Bermuda include a golf course, spa, several dining and drinking options, and a long, serene stretch of pink-sand beach. A historic lighthouse, palm trees, and a couple of huts are all you’ll find on Klein Curaçao—along with a long, wide stretch of empty beach. 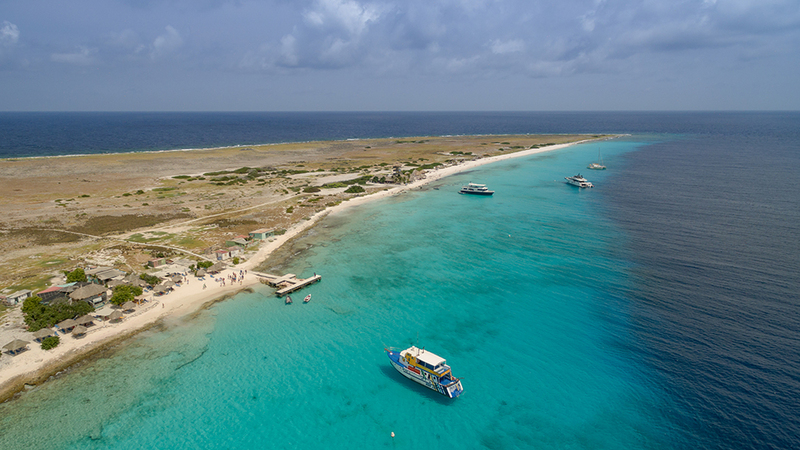 Set 12.8kms off the southeast coast of the Dutch Caribbean island of Curaçao, the 1.7-square-kilometre “Little Curaçao” has no inhabitants, and it’s only accessible by helicopter or a two-hour boat ride. Once there, you’re rewarded with one of the longest and most pristine beaches in the Caribbean, as well the chance to snorkel past vibrant coral and scuba dive to shipwrecks and underwater caves. While most visitors just hang out for the day, locals like to camp for the night along the beach, under a canopy of stars; most luxury hotels or tour operators on Curaçao can make that happen. Where to Stay:Check in to one of the 23 suites and villas at Baoase (many with private plunge pools), and enjoy easy access to the sea, not to mention a pretty spectacular beach right in front of the resort. 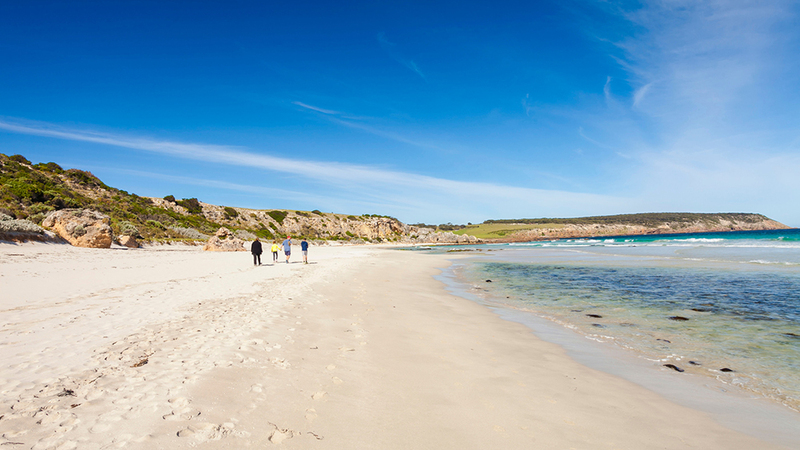 With more than 500 kilometres of coastline, this South Australia island (set about a 20-minute flight from Adelaide) has no dearth of scenic beaches for swimming, sunning, and catching waves. Stokes Bay, though, is where you go for solitude—and a bit of adventure. You’ll need to walk through a labyrinth of caves and rock tunnels (on an uneven path nicknamed “The Secret Tunnel”) before reaching the gleaming white-sand beach on the quiet north coast. The picturesque spot is protected from the surf by giant rocks—resulting in what feels like a big, warm private swimming pool. And while you probably won’t see another soul while you’re there, you’ll find plenty of company in the native wildlife—including a number of the island’s namesake kangaroos. 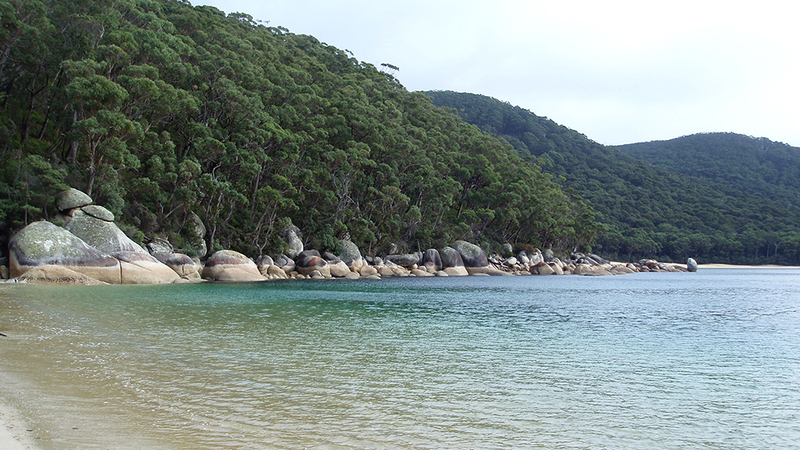 Victoria’s Wilson’s Promontory National Park is full of natural wonders and several stunning (and less-visited) beaches. Fairy Cove, for example, is only accessible by foot at low tide, when two nooks come together to form the pristine beach. It’s mainly only visited by locals, who come to sunbathe atop the granite boulders dotting the cove. For those who really want to earn their beachside fun, though, there’s Refuge Cove, which is only accessible to boaters with special permits (and even then, with tons of restrictions) and to hikers up for a 33km trek with two nights of camping. 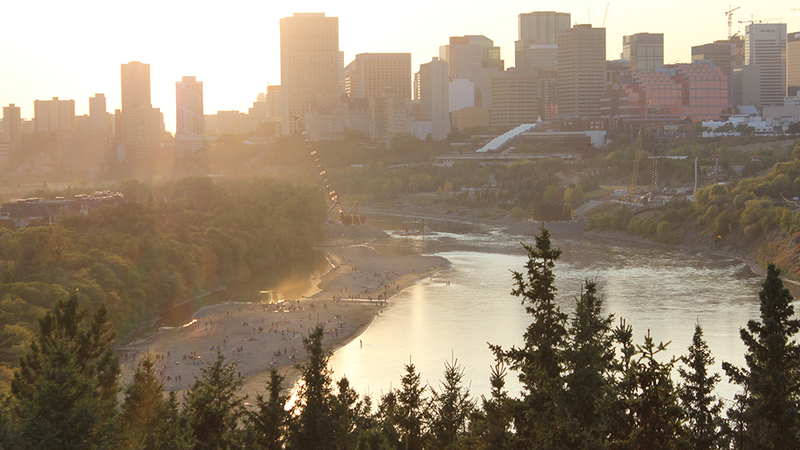 The hike will take you over steep slopes and river crossings, and up to panoramic lookout points. At the end, you’ll descend onto a white-sand beach bordered by wooded slopes and sparkling waters.